Thanks for the link. I'll check it out more in depth when I get paid. Some more painted goodies. This time actually pretty well done, by my standards anyway. 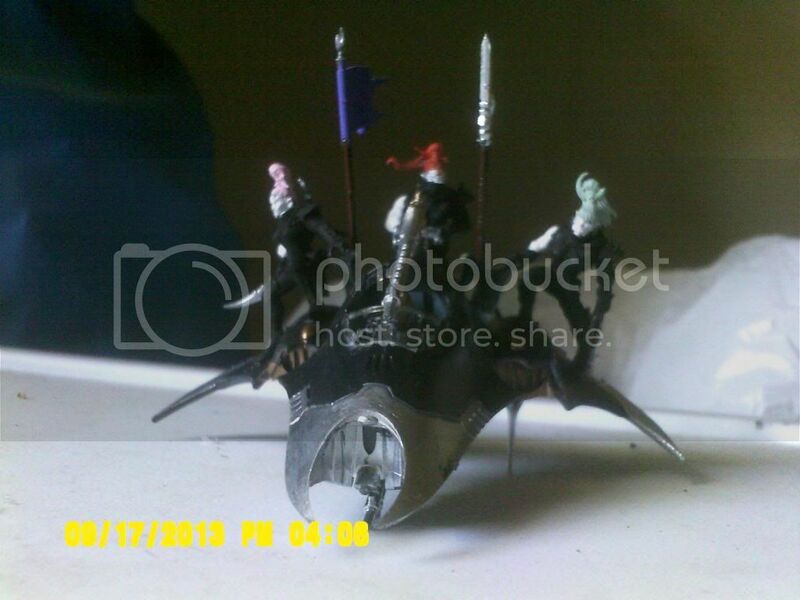 These guys are going to be my Scourges, I just need to find suitable looking and sized wings to put on them. And these are the rest of my raiding party. They look like a fun bunch, yeah? June is here already? That was fast. Well, I suppose I might as well do some kind of plan. 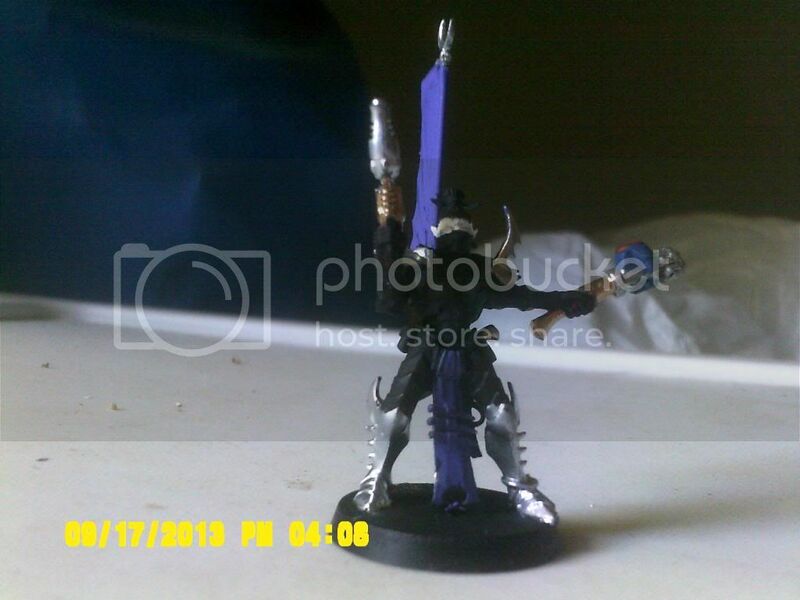 I know I'll be picking up another box of Dark Eldar this Wednesday, probably Scourge, Incubi, or Reavers. If my completion of my 16 man warrior squad is any idea, I should have either of those boxes I pick up done by next sunday at the latest. I also have another set of warriors waiting to be picked up and repainted. 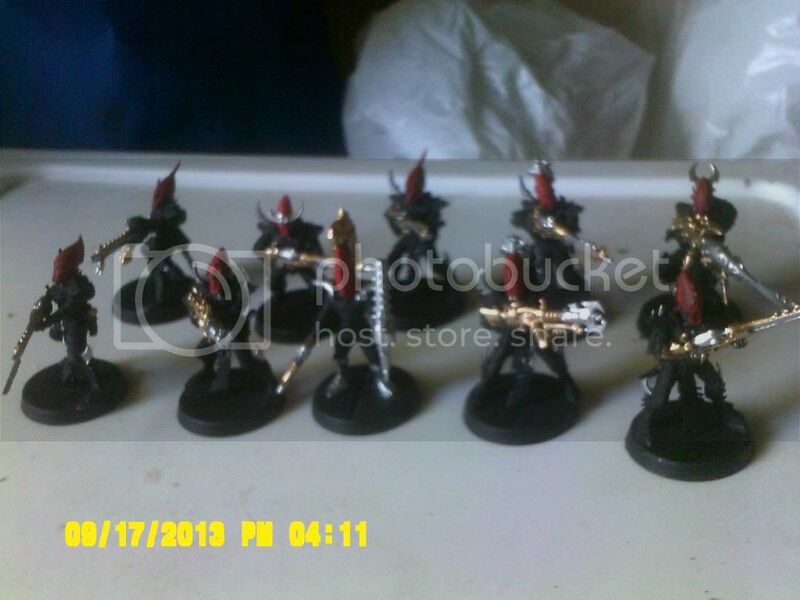 I still have my mercenaries, guild, and gremlins to paint. Also my battletech guys. I definitely want to get my mercenaries done at least by the end of week 2. 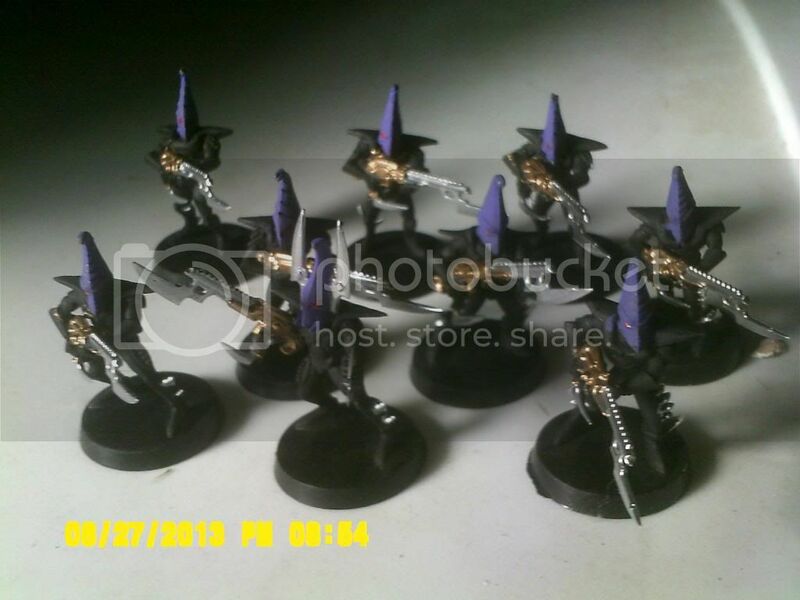 Battletech will depend on schedule but I should have them done by the end of the month, unless I get more Dark Eldar. Which is highly likely. 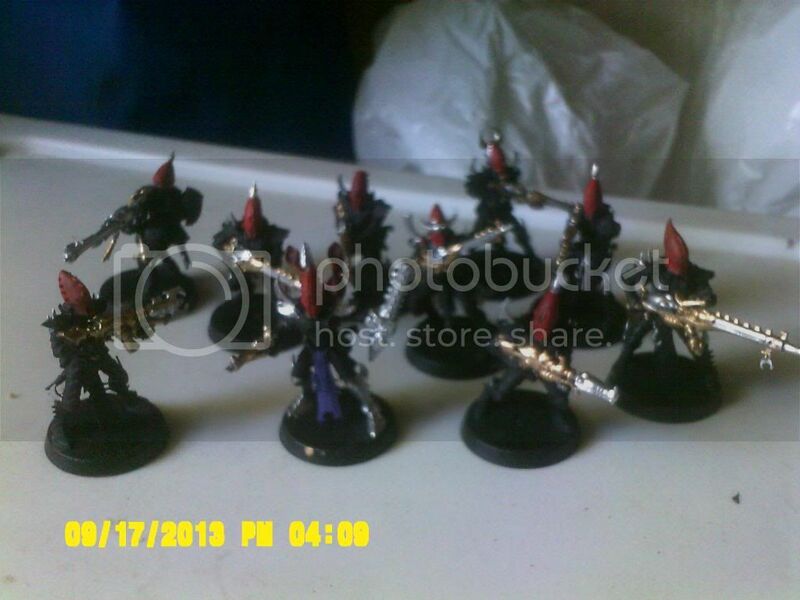 Update on my pledge: I didn't get my hands on scourges yet, but I ordered some from the store so they should arrive soon I think. In the meantime, I picked up 2 boxes of warriors and a venom. Will be working on them this weekend. I also got a bunch of warriors from Corwin, which I just fixed up. Need to paint them. After all that is done, my battletech army awaits. Alright, update time again. This time more pictures. 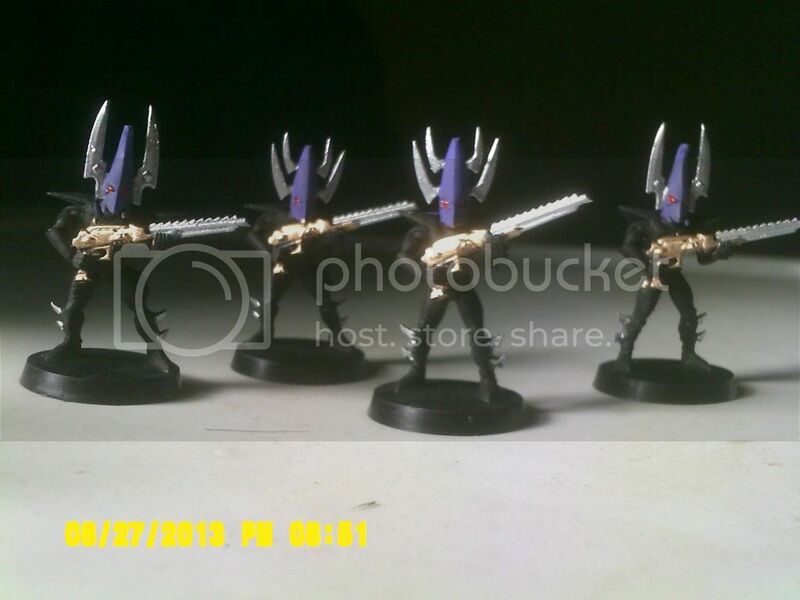 I finished what I have of my Dark Eldar army. 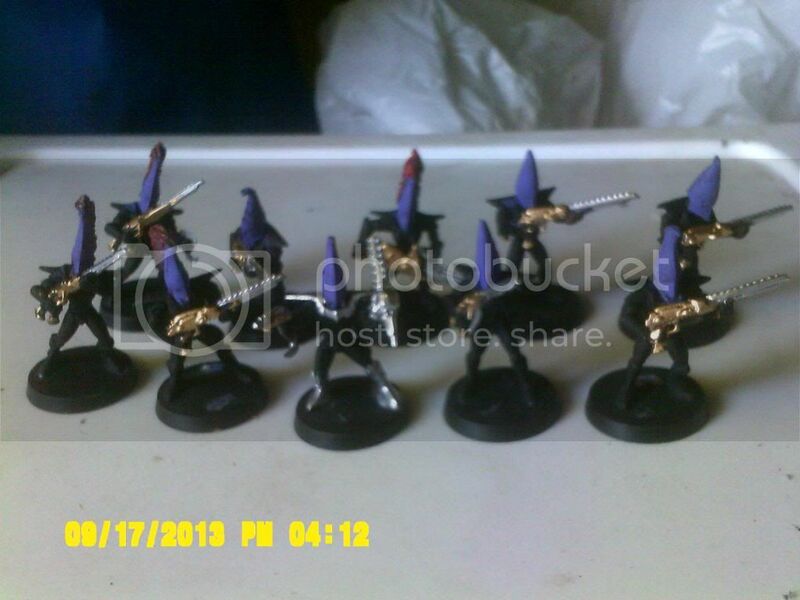 I found the perfect color scheme for my merc company for Battletech. Definitly going with one of the mass produced mobile suits from Gundam. This time the scheme isn't all black with some other color to break up the monotony. 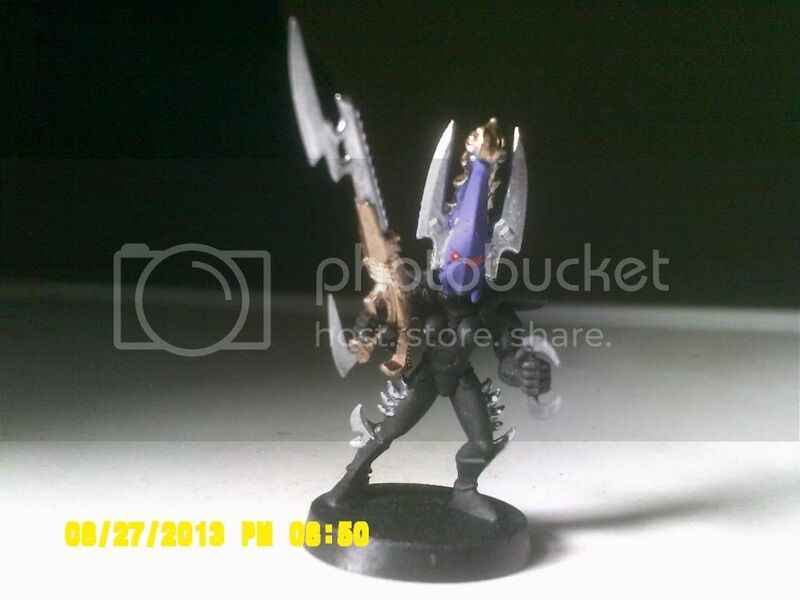 If I find time and the motivation, I may recolor my Sisters to differentiate them when allied with my Dark Eldar. That is to be seen though. 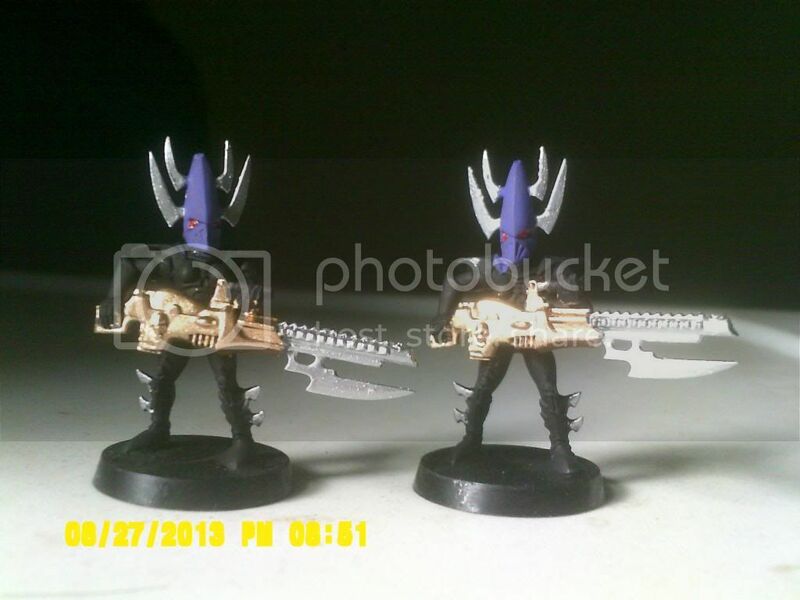 Pledge for July: Dark Eldar Ravager, Dark Eldar Scourge squad, Protectorate of Menoth starter box. Started on my Battletech army. May have those done by the end of the month. If I have time, I'll finish my Malifaux Outcasts.